Having office carpet cleaning services gives the chance to get the best of an impression which counts. One of the most important parts of our business decor is the carpet. 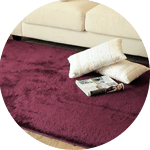 It is the choice of the carpets that can either multiply the overall beauty of the office or can make your business look untidy. 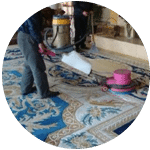 That is the reason why every business owner should pay special attention to the cleaning and upkeep of carpets. Only a clean and new looking carpet can look the best and improve the outlook of the interiors inside the office. 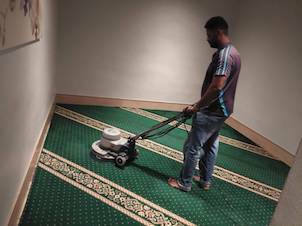 So one should keep cleaning the carpets every once in a while to maintain the overall look of the business. 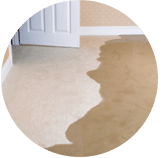 The biggest factor towards untidy and dusty carpet is the exposure to soil. 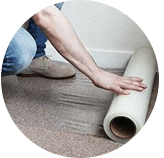 Make it a point to ensure that the soil does not get in contact with carpets by any means. Put a mat at the entrance of the office. This way, every time a person enters the room, the maximum amount of soil will be filtered won with mats. Also, ask the visitor to remove their shoes before entering the office. 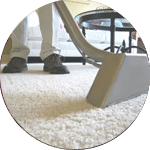 Whenever you decide to clean carpets on your own, make sure to buy those cleaning chemicals that contain the minimum amount of toxicants in it. Although, the majority of cleaning products in the market, these days, are free from harmful toxins, always be vigilant to check that the product is from harmful substances. Products containing toxic elements can be harmful both for the cleaners as well the people surrounding him. If you do not conduct carpet cleaning on a regular basis, the dirt gets set deep inside the carpet. The deeper the dirt sets, stronger the chemical you will be needed. So make it a point to clean the carpets on a regular basis. This factor will not only ensure a clean carpet but will also improve the longevity of the carpet. Contact our team today for a FREE office carpet cleaning quote! 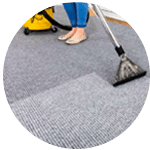 Our customer service team will reply to your request within a few working hours to find out more and discuss further about the office carpet cleaning service that you require. 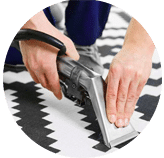 Subsequently, we will issue you a quotation and an invoice for the office carpet cleaning service. 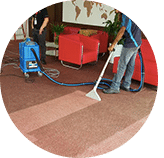 Our office carpet cleaning service is available in Peninsula Malaysia from Kuala Lumpur, Selangor, Ipoh, Johor, Malacca and Penang. Speak to our team to enquire more about the office carpet cleaning service that we provide in your area. I have a special request for the office carpet cleaning service, can this be done? 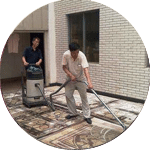 We understand that sometimes our customer have special requests for office carpet cleaning service with regards to timing and other matters such as stain removal. In this scenario, you can contact our customer representative team at 017-232-6491 to discuss youroffice carpet cleaning request.